We possess ultramodern manufacturing facilities to fabricate pallets. We provide highly durable drum pallets to arrange drums. It is convenient to arrange various sizes of drums. These drums are stacked one on one. 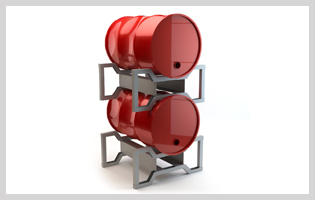 It is the safe and simple way to manage loaded drums. It is also been convenient for the transportation.